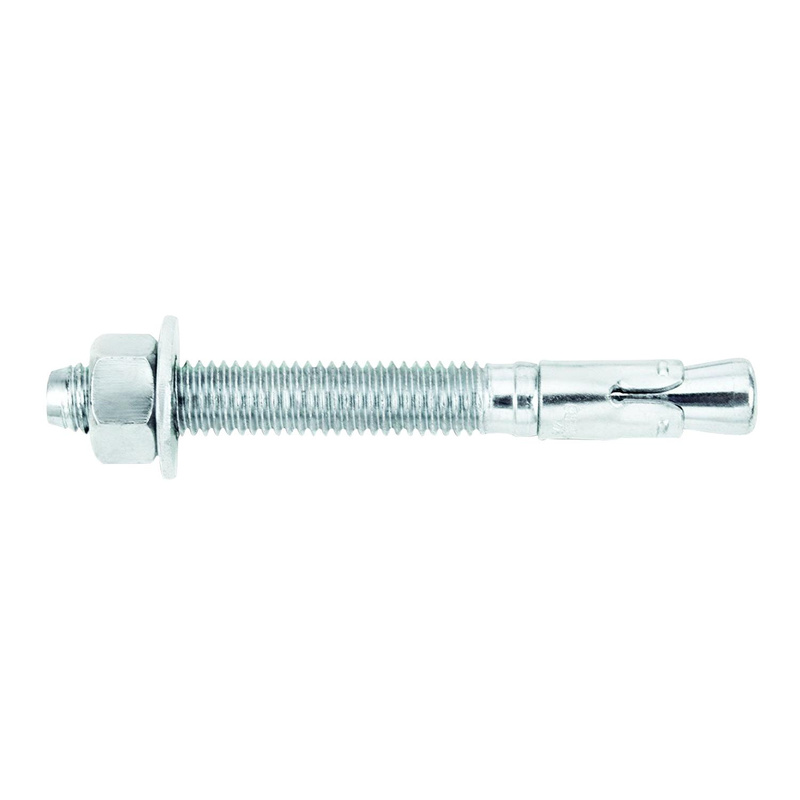 Power Fasteners Power-Stud+® SD1 Wedge expansion anchor of size 1/2-Inch, has carbon steel construction with zinc-plated finish for longer endurance. This 5-1/2-Inch anchor has thread length of 3-3/4-inches and minimum embedment depth of 3-3/4-inches. Anchor can be easily installed through standard fixture holes. It provides consistent performance in high and low strength concrete. It is ideal for structural connections, safety-related attachments and tension zone applications such as cable trays, strut, pipe supports, fire sprinklers, seismic as well as wind loading.